by BankRuptingAmerica: What happens when federal agencies that spend all their money are rewarded with bigger budgets? They learn to “spend it or lose it” before the end of the fiscal year, and waste your hard-earned tax dollars in the process. So how do we fix the “spend it or lose it” problem? By signing our petition demanding Congress and President Obama work to stop this abuse of taxpayer dollars! WHAT IS “SPEND IT OR LOSE IT”? “Spend it or lose it” is the mentality fostered by the federal government’s current budgeting process, which creates harmful incentives for agencies to spend all the money in their budgets in order to receive even bigger budgets down the road. In 2012, Federal Times reported that many federal contracting offices answered phones and emails until midnight on September 30, the last day of the fiscal year, in an effort to use up their funds. 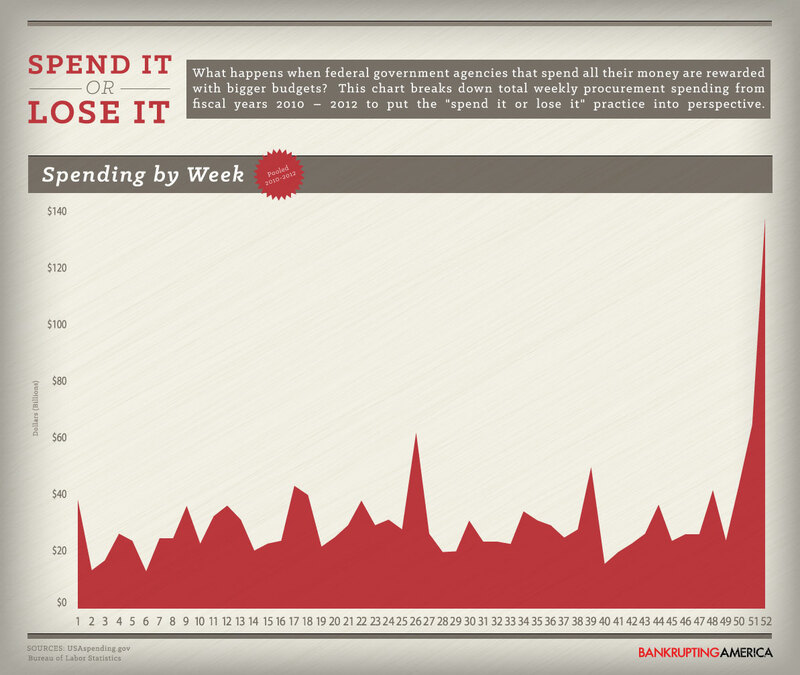 Ø Empirical Analysis Shows A Spike In Federal Spending During The Last Month And Week Of Each Fiscal Year. o The Flurry Of Year-End Spending Is Associated With A Drop-Off In The Quality Of Investment. Rollover Taxpayer Savings: Allow federal agencies to rollover funds to the next fiscal year so the funds don’t lapse and there is no incentive to waste. In 2010, the White House proposed allowing federal agencies to save money by redirecting unused funds to other programs and the rest to pay down the deficit. We agree. The federal government should budget and save the same way American families do. Increased Oversight: It was recently reported that some of the federal government’s largest agencies don’t have permanent inspectors general, including departments that have recently had their own spending scandals. Public Notice believes every federal agency must have an inspector general in place to provide oversight of any inappropriate actions It’s clear the government needs to get smarter, more efficient, accountable, and transparent. 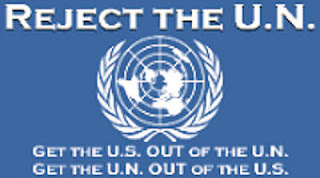 Tags: BankRupting America, government Spending, by the week, budget, debt, deficit, national debt, Spend It or Lose It, spending, Washington To share or post to your site, click on "Post Link". Please mention / link to the ARRA News Service. Thanks!